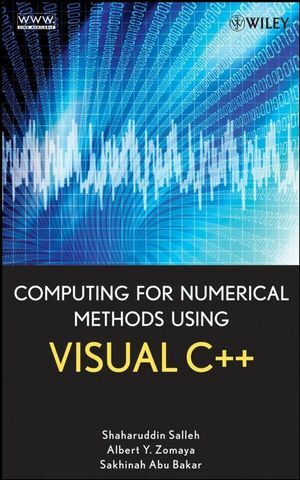 Computing for Numerical Methods Using Visual C++ fills the need for a complete, authoritative book on the visual solutions to problems in numerical methods using C++. In an age of boundless research, there is a need for a programming language that can successfully bridge the communication gap between a problem and its computing elements through the use of visual-ization for engineers and members of varying disciplines, such as biologists, medical doctors, mathematicians, economists, and politicians. This book takes an interdisciplinary approach to the subject and demonstrates how solving problems in numerical methods using C++ is dominant and practical for implementation due to its flexible language format, object-oriented methodology, and support for high numerical precisions. This reader-friendly book includes a companion Web site, giving readers free access to all of the codes discussed in the book as well as an equation parser called "MyParser" that can be used to develop various numerical applications on Windows. 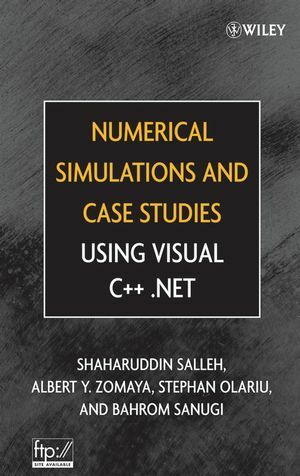 Computing for Numerical Methods Using Visual C++ serves as an excellent reference for students in upper undergraduate- and graduate-level courses in engineering, science, and mathematics. It is also an ideal resource for practitioners using Microsoft Visual C++. Shaharuddin Salleh, PhD, is Professor in Computational Mathematics, Faculty of Science (Mathematics), Universiti Teknologi, Malaysia (UTM). Dr. Salleh's research is in parallel computing algorithms and scheduling, mobile computing, intelligent systems, and numerical/combinatorial optimization problems. He is also an IT Manager at the Research Management Centre, UTM. Albert Y. Zomaya, PhD, is the Head of School and CISCO Systems Chair Professor of Internetworking in the School of Information Technologies at the University of Sydney. He is the author or coauthor of several books and more than 300 publications. He is an IEEE Fellow. Sakhinah Abu Bakar is Lecturer in Computational Mathematics at the School of Mathematical Sciences, Faculty of Science and Technology, National University of Malaysia. She is currently pursuing her PhD degree at the University of Sydney. Chapter 1: Overview of C++. Chapter 2: Visual C++ Methods. Chapter 3: Fundamental Mathematical Tools. Case Study: Matrix multiplication problem. Matrix reduction to triangular form. Computing the determinant of a matrix. Computing the inverse of a matrix. Inverse of a complex number. Chapter 4: System of Linear Equations. Gauss Elimination with Partial Pivoting. Background: existence of solution, MVT, errors, etc..
Chapter 6: Interpolation and Approximation. Chapter 7: Differentiation and Integration. Newton methods (forward, backward, central). Chapter 8: Eigenvalues and Eigenvectors. Chapter 9: Ordinary Differential Equations. Runge-Kutta of order 2 method. Runge-Kutta of order 4 method. Boundary Value Problems: finite-difference method. Chapter 10: Partial Differential Equations. Chapter 11: Finite Element Methods.